The company of animals certainly seems to have a healing effect in many of our lives. This is probably partly due to the fact that they don’t judge us in the same way fellow humans do. They may get annoyed with us if we stroke them the wrong way, but they’ll never judge us for our flaws. A cat or a dog will never reject us because we eat too much, have credit card debts, or don’t call our mothers as often as we should. It’s not unusual to see dogs sitting beside homeless people on the street. Our animals love us, even if we don’t love ourselves. In many cases, they embody mindfulness; they are non-judgementally present in the moment. When an animal is sitting with us, they aren’t busy thinking about yesterday or tomorrow. They are simply there. This is probably why they have such a special place in many of our lives. In our busy lives it can be all too easy to take our pets for granted. However, if we can make the time, our pets can provide us with great ways to practice mindfulness. Next time you’re with your pet, why not take a few moments to really notice everything about them. When you stroke them, pay close attention to how their fur or feathers feel beneath your hand. Maybe even imagine that it’s the first time you’ve ever felt them, and see what difference it makes to your experience of them. Notice their appearance, taking in every whisker, every feather or patch of coloured fur, every paw and claw. Watch how they’re breathing. Listen to their heart beat if you’re snuggled up with them. Perhaps most importantly of all, cultivate a sense of gratitude for having them in your life. Remember all the difficult or painful times that you’ve been through, and how your pet has been there with you through it all. Let that gratitude fill you from top to toe. One of the great things about animals is that they don’t care about our plans. They have a habit of interrupting those streams of thought that we feel are very important. Although this may at first seem like a negative thing, it can actually help us become unstuck from living in our mental chatter by bringing us back to reality. For this reason, animals can help us in our formal meditation practice. Have you ever been meditating, and then heard a dog barking in the distance, or had your cat try climbing on you for a cuddle? Far from being distractions from our meditation, they can enhance it. Meditation is not about escaping from the present moment, but about embracing it. While we’re taking our meditation very seriously, animals are just living their lives. And so that dog barking in the street or that cat determined to have your attention act as anchors to the flow of the present. They are reminders that we are not in control, and that the best way to cope with life is to let go of our pre-conceived ideas of how things should be and join in with the dance of how things really are. We can do this by noticing our reactions to them. If we feel annoyed about our meditation being interrupted, we can look at why that is. Perhaps it’s because we have an inaccurate idea of what meditation is about. Or perhaps we’re attached to an idea of how we’d like to be. In this way, animals can have a very humbling effect. They can remind us that our meditation practice doesn’t place us in an elevated state above the rest of life, but that in fact our meditating is just like the barking in the street, just one small part of life as a whole. Animals are indeed great mindfulness teachers, if we take the time to notice them. 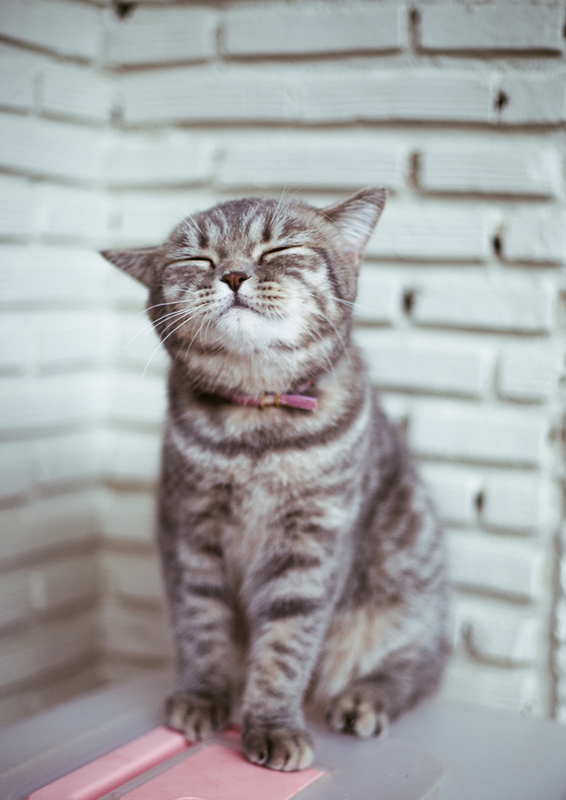 What mindfulness lessons have you learnt from your pets? We’d love to hear them in the comments below!